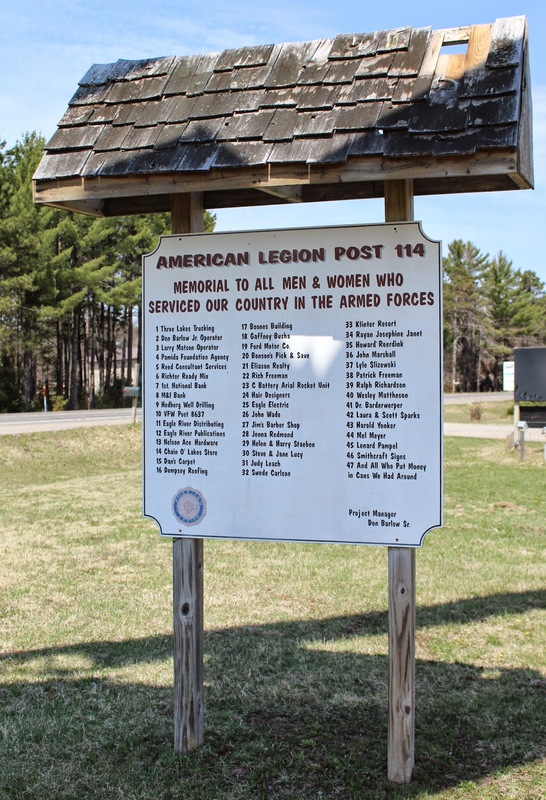 This memorial is located at American Legion Post 114, on southbound U.S. Highway 45, at 530 U.S. Highway 45 South, Eagle River, Wisconsin 54521. 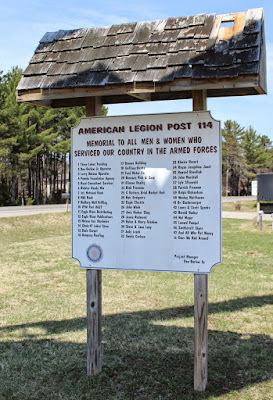 See also, Eagle River American Legion Post 114 Memorial to All Who Served, also at this location. The plaque is on the small boulder to the left of the helicopter pole. First visited March 30, 2013, during an unexpected blizzard.